Schneider LC1D09......Cant figure out how to get to and check the contacts on this contractor. Ive had other electricians look at it and no one seems to be able to get to them.One said it must be disposable but there is no way this can be .I can see that the body has a sleeve but cant get it apart.You have to be able to check contacts. So i go to the Schneider site and they say the contractors are not user serviceable.How is that possible that you cant check contacts as they are OEM on high cycling compressors. Serviceable isn't the issue predictive maintenance is . About you can do is measure the voltage drop across each contact with it operated under load. You should be very close to zero volts. 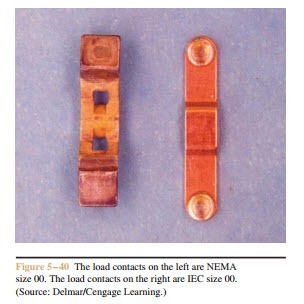 Checking for ohms may be an indicator but it does not prove it actually is carrying the load. I have taken things like this apart in an emergency and tried to fix them but it is always a temporary fix if it works. Get a new one coming. I was pretty disappointed with the Schneider site too. There was more information on 3d party sites. Last edited by jraef; 04/28/17 11:06 PM.